Will we chase the machines or will the machines chase us? In 1984, James Cameron’s “Terminator” hit the screens, keeping millions or billions of viewers on the edge of their seats. At that moment, it became obvious that science fiction films would never be the same. However, the impact of the filmmaking did not only extend to films and entertainment. It also led to a breakthrough in the industry, inspiring engineers, designers and developers because Arnold Schwarzenegger, as the Terminator, Holographic training platform providing used Augmented Reality (AR). The well-known scenes where he identified, chased and tracked his enemies (bear in mind that this took place 34 years ago) demonstrated the usefulness of conventional vision assisted by computer-generated information. In the following years, these fantasies permeated into real-life technology and engineering. The first actual engineering version of AR/VR was developed already in 1968 by Ivan Sutherland, who created a complex device code-named the “Sword of Damocles” – a helmet-like device various instruments and a tiny visor. The device was so heavy that it had to be attached to the ceiling and suspended over the user’s head, demanding plenty of courage as well as skill on the part of the AR user. In 1992, Boeing engineers, Caudell and Mizell, coined the term “augmented reality” and assisted workers with the installation of airplane cables by displaying AR schematics. The entire history of the development of this technology is described in the following article and depicted in the following graphic but we have not been able to truly make the most of this technology until the last few years. What is Augmented Reality (AR) today? Today, Augmented Reality is dominated by mature software and hardware platforms by a small group of leading manufacturers, e.g. : RealWear HMT-1, ODG R-7, Microsoft Hololens and Vuzix M300. However, the development of this technology is extremely fast. In terms of hardware, every six months bring new devices that improve the quality of generated images, user comfort and battery time (up to 10 h without recharge), and they conform to an increasing range of industrial certificates, e.g. they can be used in hazardous areas (ATEX Zone 1, ATEX Zone 2) and in a wide range of temperatures (e.g. from -20 to +55°C). Nowadays, at Transition Technologies PSC, we use models such as: RealWear HMT-1, ODG R-7, Microsoft Hololens and Vuzix M300 where possible for most of our implementations. Our preferred software, in turn, includes Unity – multi-platform 3D engine supporting over 25 hardware platforms and having the largest programming community amongst graphics engines, Vuforia – AR engine for mobile platforms and ThingWorx Studio – leading platform for developing AR contents for industrial applications. Example of using the HMT-1 device with personal protective equipment (helmet, safety glasses) and sample application with access to the KPIs, machine documentation and maintenance procedures. A model certified to ATEX Zone 1 will be available in the middle of 2018. 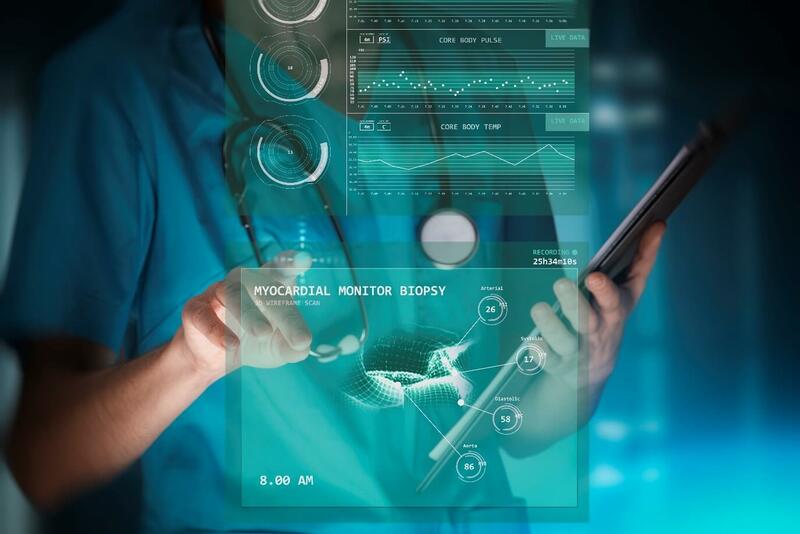 We use proven, market-leading tools to quickly implement software for clients in the manufacturing sector, tool industry or even plastic surgery. Naturally, every client has different demands. Still, the most popular scenarios involve supporting training with high-quality 2D and 3D contents to satisfy the needs of the three main types of learners: kinaesthetic profile (learning through physical activity), visual profile (video, charts, slides, etc.) and auditory profile (listening, lectures, podcasts). All three types of learning can help in improving the absorption and retention of knowledge and developing better cognitive skills owing to AR/VR assistance. Holographic training platform providing training materials in the form of instructional videos and animated 3D sequences – all this displayed against the backdrop of the actual machine. This material presents the solution developed by Transition Technologies PSC for OCME – Italian food/beverage processing company. 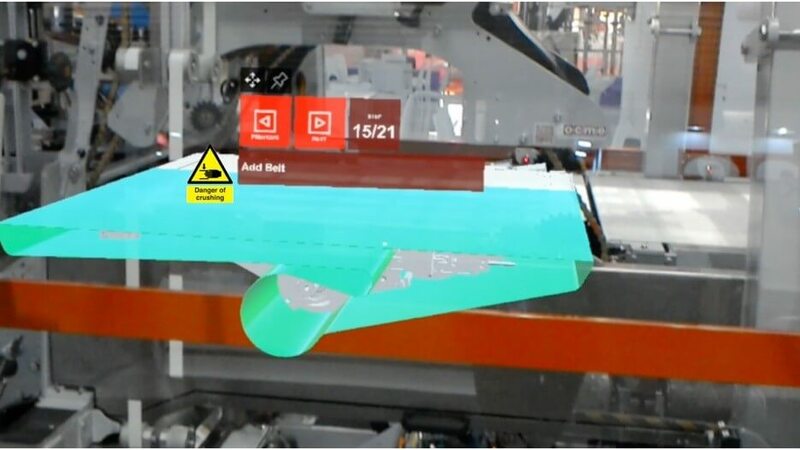 There are also other, new applications of AR in the industry (which, in fact, had been developed earlier but could not be implemented without today’s technologies). 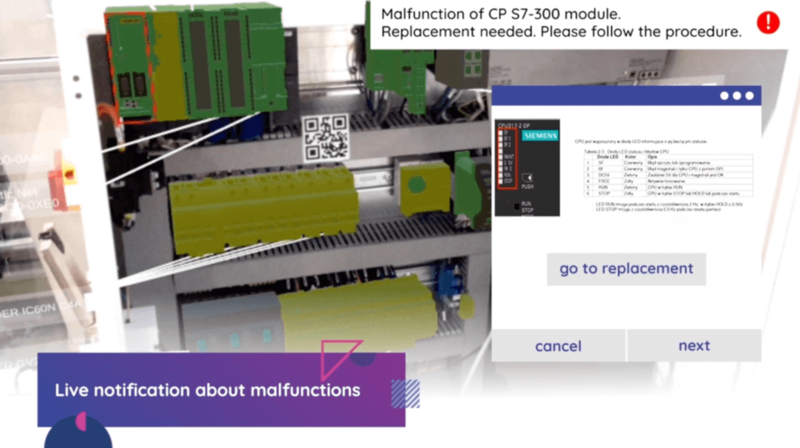 The AR technology can be useful during assembly and maintenance work. This is a genuine and common application of AR functions dating back to the concepts of Sutherland or the first ideas appearing in the 1990s. 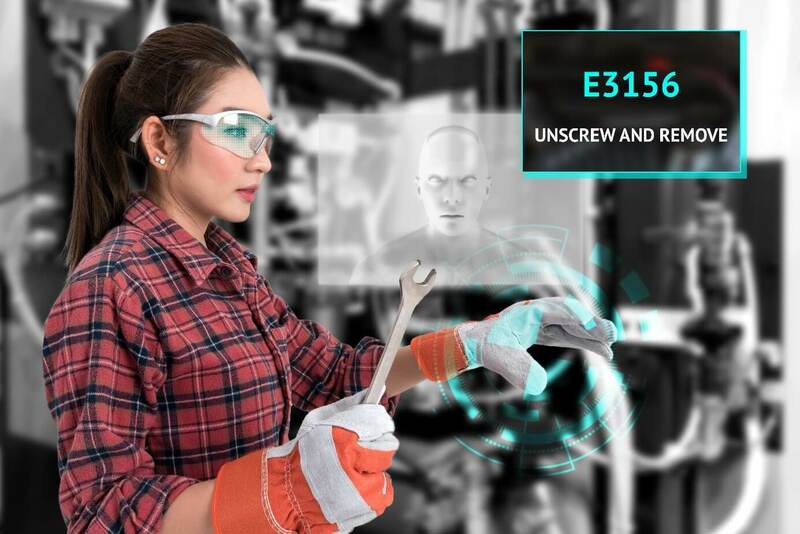 The most dynamically growing product area is AR assistance during work and delivering the “hands-free experience” to maintenance technicians or machine operators. Imagine a person that maintains/repairs large and complicated manufacturing machinery or wind farms, equipped with a micro-display attached to the safety helmet to see the operating parameters of the machines, technical documentation, service requests, alarms and step-by-step instructions showing how to carry out a specific procedure and close the request. Since the device responds to voice commands (and is capable of reading them out loud), the operator’s hands remain free, letting him focus on the job. Where necessary, the work carried out can be documented with photographs or video recordings, and the worker can obtain advice remotely via teleconference. Replacing components with a list of alarms and faults and access to the documentation of the procedure. This material shows the solution prepared by Transition Technologies PSC for the Polish factory of FIAT Chrysler Automobiles implemented under the World Class Manufacturing initiative. Imagine also a situation where the instructions mentioned above can additionally include H&S instructions to ensure that the job is done quicker and, most importantly, safer, because the worker will “have to” follow the H&S instructions to proceed to the next step. Drive belt replacement procedure with H&S warnings. This material presents the solution developed by Transition Technologies PSC for OCME – Italian food/beverage processing company. 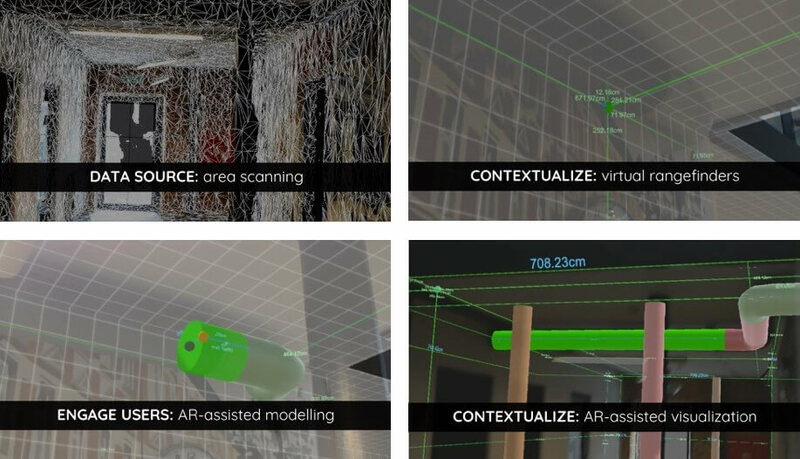 Also the AEC (Architecture, Engineering and Construction) sector can reap the benefits of AR, particularly in restoration projects, where the documentation for an existing building (e.g. geometric data, layout of electrical cables, reinforcement, ventilation systems, etc.) has to be recreated and combined with the target design developed in Building Information Modelling (BIM) software. AR can help in scanning the building, preparing bills of quantities, cost estimates, visualisations, exploring potential restoration scenarios, inspecting structural works or utility works or commissioning the building. Scanning, bills of quantities, modelling and visualisation using AR. This material presents the work carried out under the “Real World Engine” research and development project of Transition Technologies PSC. There are tremendous potential benefits because the combination of BIM and AR will improve information flow between project owners, architects, designers, subcontractors, installation companies and other parties involved in restoration projects and enhance decision-making. The industry estimates that savings could reach 20% in relation to the existing solutions. Today, AR is becoming the go-to technology in all kinds of engineering work. Within the next 3 years (by 2020), it will be difficult to find an industrial company that does not regularly use these solutions (it would drop out of the market if it did not follow the changing business models and keep pace with the increasing efficiency of the competition). However, thinking back to the old Terminator, you cannot help but wonder and feel anxious for a moment – will the new machines and computer systems not overpower us like SkyNet did? The innovations and dynamic growth of Artificial Intelligence give rise to further ethical concerns and questions regarding the limits of our humanity. This, after all, is the point of Cameron’s film. Perhaps, then, we should also wonder if chasing innovation will not cause machines to chase us. Do you have any questions? Contact with us!